The price of this glove does run up there. It will be more than other gloves in the market but the quality of it justifies the price. Created from Pro Stock Leather. This is the top 5% of leather in quality in which Wilson receives. This glove will NOT come game ready. It is pretty stiff and will take time to break in. Once the glove is broken in, it will be formed just for your hand making it the perfect fit. 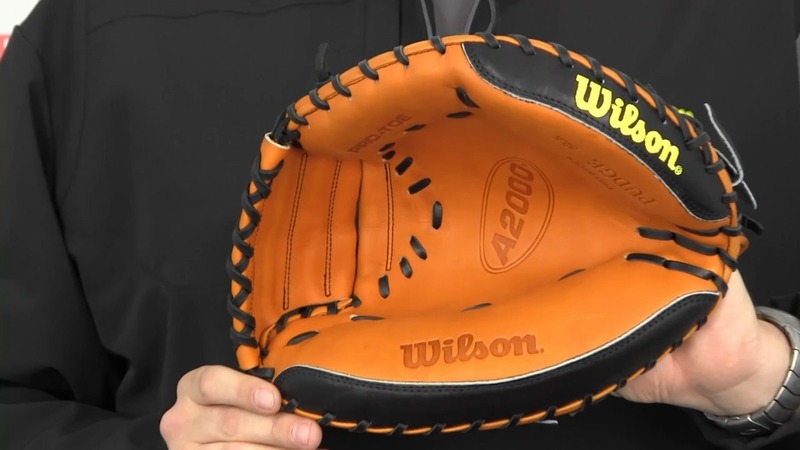 The Wilson A2000 Pudge catcher mitt is one of the most iconic mitts on the market today. Designed by former Major League Baseball player Ivan “Pudge” Rodriguez, this glove is known for its craftsmanship and durable performance. 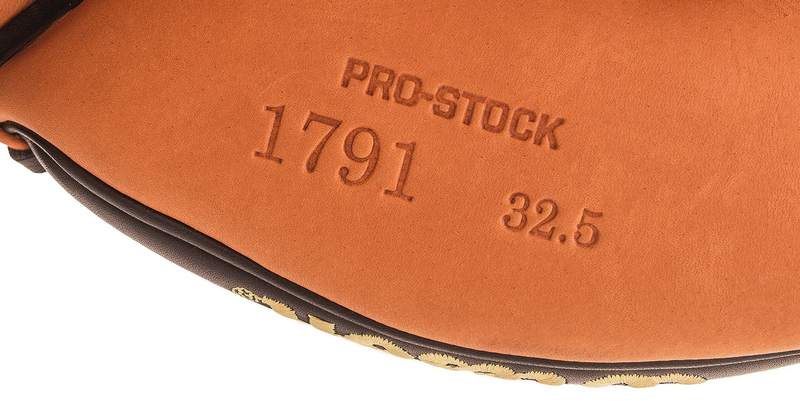 Wilson’s A2000 is created from Pro Stock Leather which is created from the top 5% of leather they receive. The thick leather is made as soft as possible while maintaining the durability it has come to be known for. The palm liner of the glove has a double layer of leather to give it the softest feel. The web of the glove is made from the strongest part of the hide – which is the neck area of the cow. The neck part of the hide is the strongest area due to the cow moving its head constantly. The softness of the glove is created from being pounded by a mallet by hand at the factory level. The A2000 features Dri-Lex Technology which is an ultra-breathable wrist lining that helps move moisture away from the skin. Dri-Lex was originally engineered for footwear applications. The range of technical textile structures and high performance fibers helps Dri-Lex great moisture movement. It works by moving perspiration away from the hand surface into the specific Dri-Lex fabric in the lining. Dri-Lex then redistributes the moisture to help keep the palm dry. Wilson saw the potential of this technology in footwear and had it developed to be placed into the A2000 Pudge catcher’s mitt. The Wilson A2000 has had a great response from customers. Currently at the time of writing this review, this mitt has a score of 4.7 out of 5 from thirteen reviews on Amazon. Of those thirteen reviews, 92% of them are perfect scores. Here are some review excerpts for you to read and see what customers are saying about this mitt. As a travel baseball player, my son loves with Wilson A2000 Pudge. This is actually his second glove as he wore the first one out. As you would expect with any high quality glove, allow time to break the glove in before using it in a game. This particular catcher’s mitt is built to last, and it has a number of features that make it an excellent purchase for catchers at the youth and high school level … As a catcher’s coach, I am very satisfied with this glove and recommend it with enthusiasm to young players. As you can tell, many customers are very happy with their purchase and give it a full score and also recommend it to others. A lot of players when looking for a new glove expect it to be ready for game day play as soon as they purchase it. It’s understandable as whenever someone buys something new they want to play with it immediately. Unfortunately you will not be able to do this with the A2000 Pudge catcher’s mitt. The higher quality leather a mitt comes with, the more time it will take to break in the glove and have it mold to your hand. This is why it’s suggested to purchase a new glove at the beginning of a season so you will have time to use it a lot and soften it up before you play in games. 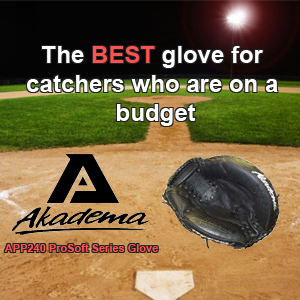 If you are in need of a top-tiered glove that has high quality leather, amazing durability, keeps your palm and hand dry, and also popular in the Major Leagues, then the Wilson A2000 Pudge catcher’s mitt is right for you. Sure it is a bit on the high price end, but this glove will last you a very long time and will make you great about your purchase.